I've always had a soft spot for Australian horror films, "Wolf Creek" is testament to the fact they've come along way from the early days of the early, campy "Ozploitation" films, a long way. The film states it's 'Based On True Events', it was influenced by the Ivan Milat (known as The Backpacker Murders) and Bradley John Murdoch (jailed for the murder of English backpacker Peter Falconio) cases. Both were horrendous events which gives you a hint as to what the film is like. This was a low budget production (estimated around $1million AUD) but that doesn't mean the quality is low, the acting is good but my problem is we don't get to see more of our villain 'Mick Taylor' portrayed by John Jarratt. He puts in such a good performance and it seems he just doesn't get a-lot of screen time which is truly a shame as you do feel they could've done more with him. John Jarratt actually put a-lot of effort into his part, he spent weeks living in the Australian desert preparing for the role of 'Mick Taylor'. He also avoided bathing before shooting so he would have a much more rugged appearance. Furthermore, the idea for Mick to have a creepy laugh was Jarratt own (he says it took him four months to get it just right), and he also created a detailed biography for the character (although he wouldn'treveal the details to anyone). He also remained in character between takes, which freaked out the cast. A very eerie coincidence occurred for the crew sent out to get footage of the crater. The location was many hours from any town so the crew decided to camp out in their car. During the night a stranger showed up in a truck to investigate. The stranger looked very much like the character of Mick Taylor, right down to the rustic truck. The stranger left, but the crew was so spooked that they drove an hour down the road before finally stopping to camp for the night. "Wolf Creek" is a film that divides opinion and I'm on the side that liked it but can also understand peoples problems with it. It is a very chilling feature but it does take patience to watch, I do recommend it if you've got the time for it. 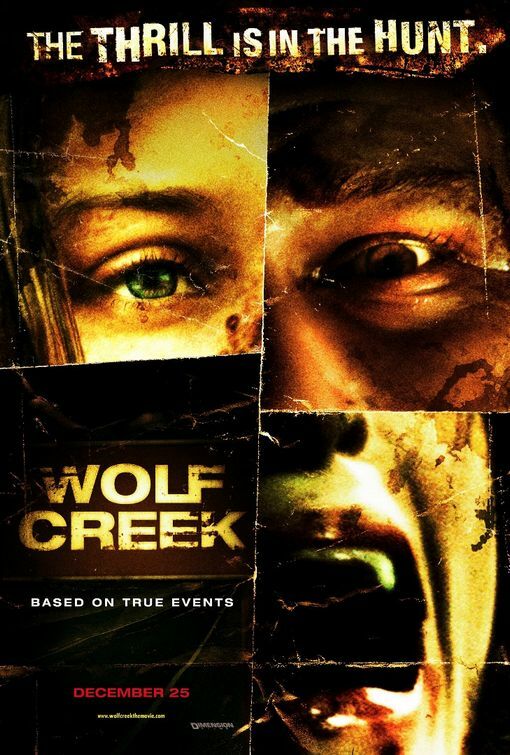 There has been news of "Wolf Creek 2" receiving the green light so keep your eyes out for that in the future. No scenes were written specifically for cloudy or wet weather, neither was it a directorial decision to have such scenes. The film's shooting schedule was simply so tight that the crew had to film at all times, regardless of conditions. As such, when it was realized that they were going to have to shoot in the rain, the script was hastily rewritten to include references to the fact that it was unexpectedly raining. The Director of Public Prosecutions in the Northern Territory asked the film distributor to delay screening the film until after the trial of Bradley John Murdoch, accused of murdering British backpacker Peter Falconio. Murdoch's trial commenced 17 October 2005. The crater in the film is really in Western Australia, but it is spelled "Wolfe Creek" in reality. The sign at the entrance of the old mining company site where the killer takes his victims is actually the name of backpacker murderer Ivan Milat spelled backward as Navithalim Mining Co. The film was shot by doing a couple of takes sticking rigidly to the script, and then allowing the actors to improvise. Many of the scenes in the final film include the improvised material. For example, the scene between Ben (Nathan Phillips) and the mechanic (Phil Stevenson) checking out the car, the party scenes, the bit where Ben plays with the flashlight after being stranded, and the camp fire belching contest scene. In addition much of Mick Taylor's colorful dialog was improvised by John Jarratt. Unbeknown to the crew the abandoned mine where they chose to film had actually been the site of the real life murder of a woman. The filming prompted a protest from locals who erroneously thought the film was about those events. There had been no rainfall for ten years in the area where the backpackers park their car before setting off for the crater, but it started raining as soon as the crew arrived. In the end, director Greg Mclean was happy it rained, as it added to the ominous atmosphere of the scene. Director Greg Mclean originally wanted to shoot the film on MiniDV but director of photographer Will Gibson persuaded him to shoot it on HD instead, as it was felt that HD would capture more of the background landscape than MiniDV would. According to stars Cassandra Magrath and Kestie Morassi the scenes shot on the beach early in the film may look warm on screen, but were actually freezing. It was so cold that for the scene where Mcgrath runs out into the ocean, all of the crew were behind camera in hats and gloves. According to Magrath, when she got out of the water, she was so cold, she literally couldn't remember her own name. According to director Greg Mclean in the workprint, the party scenes lasted for over half an hour before being cut down. The first week of the production was dedicated entirely to shooting the opening travelling footage, all of which was shot on a single stretch of highway. Star Nathan Phillips shot the footage where Ben talks to the camcorder himself. The lightning during the scene where Liz, Ben, and Kristy see Mick's truck approach was real as a thunderstorm was blowing into the location. Composer Frank Tetaz based parts of the films music score off of an old funeral march tune, giving it a slower tempo for even more moodiness. Cassandra Magrath said that John Jarratt's sinister laugh gave her nightmares. For the scene where Liz and Christie hide from Mick, after pushing the truck over the cliff, Cassandra Magrath and Kestie Morassi were in a harness clinging to the side of an actual cliff. Additionally director of photography Will Gibson was also put in a harness to capture the scene. The principle photography of the film was shot entirely hand-held. The collection of victim 'memorabilia' that Liz finds includes numerous photographs of Greg Mclean's family and friends. According to executive producer Matt Hearn, the car that Kestie Morassi rolls in the film still ran despite being wrecked. Indeed, in The Making of 'Wolf Creek', there is a shot of the car being drive after the stunt has been performed. Even though writer/director Greg Mclean did not write the role of Mick for anyone in particular, John Jarratt was the first and only actor to audition for the part. Jarratt was well known in Australia at the time as the host of a gardening show, but he was also a recognized actor. Mclean invited Jarratt to audition after he had seen him in a play called Dead Heart. Ironically, Jarratt was only working as a replacement for the regular star Brian Brown, who was ill the night Mclean attended. The film had only a 5 week shooting schedule; the entire project had to be shot within 25 days. Nathan Phillips designed the tattoos seen on his arms in the film himself. Originally, he wanted them to be much bigger, but Greg Mclean asked him to tone them back. As it was originally filmed, the scene where are Ben (Nathan Phillips), Liz (Cassandra Magrath) and Kristy (Kestie Morassi) are sitting around the campfire and Ben is telling the story about the alien lights, was over seven minutes long, and shot entirely in one take. At one point during the shooting of the scene where Mick (John Jarratt) is torturing Kristy (Kestie Morassi) whilst Liz (Cassandra Magrath) looks through the window, director Greg Mclean wanted to get a shot of Cassandra's POV, so he cleared the crew out of the shed in which the scene was being shot, leaving only the two actors inside. When he called action, they began playing the scene, however, after a minute, Mclean became convinced that Jarratt had gone too far and that Morassi's cries for help were genuine. He burst into the shed only to find both actors stunned at the disruption. Morassi was fine - it had simply been the intensity of her performance which had fooled Mclean. The film was shot entirely chronologically. According to director Greg Mclean, the film is full of subtle hints that all is not going to turn out well for the characters. For example, during the title sequence, there is a shot of a map with Broome circled. Written just to the right of the circle is 'DI'. The film was released on DVD in the United Sates in both a rated and an unrated version. Two new scenes were added to the unrated version: a scene where Kristy (Kestie Morassi) wakes up next to Ben (Nathan Phillips) after the party, and a scene where Liz (Cassandra Magrath goes down into a well in Mick's yard and discovers decaying bodies. Both of these scenes are contained on the rated DVD as deleted scenes. 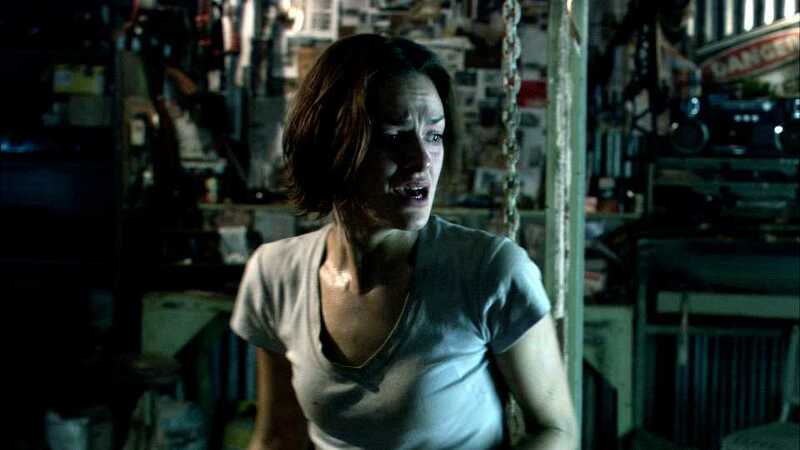 According to executive producer Matt Hearn, the two scenes which prompted most walkouts were the scene where Mick is torturing Kristy, and the scene where he cuts Liz's fingers off.